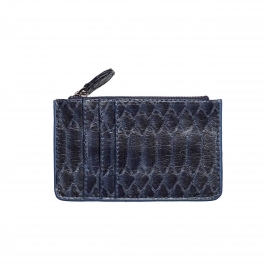 This card holder in python is equipped with two compartments. 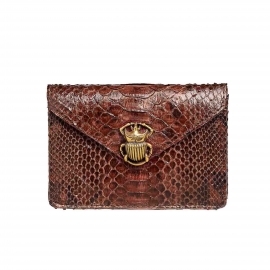 Your cards will fit in the slots provided for this purpose. 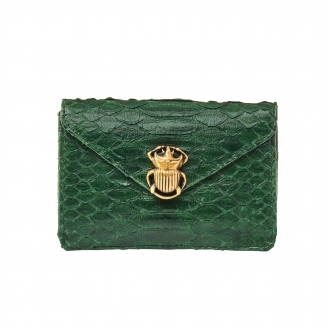 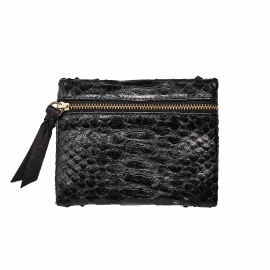 A zipped pocket on the side to arrange your coins will make this accessory practical and essential. 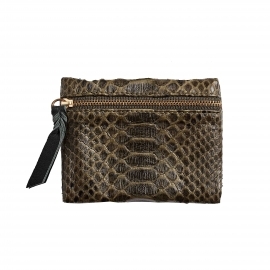 It will fit easily in your pocket or in the dedicated compartments of your bag. 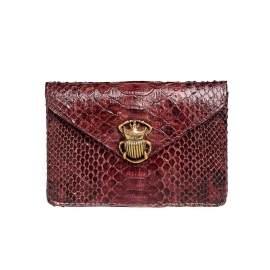 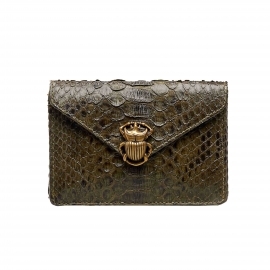 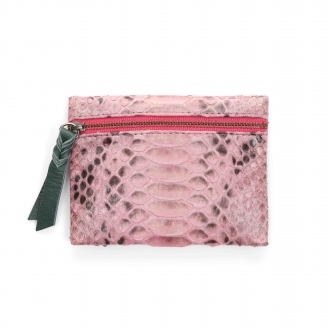 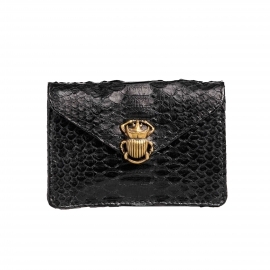 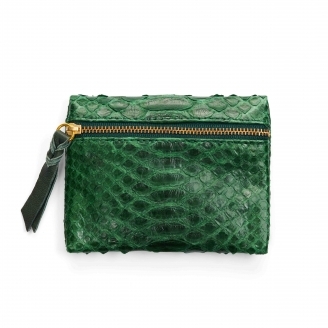 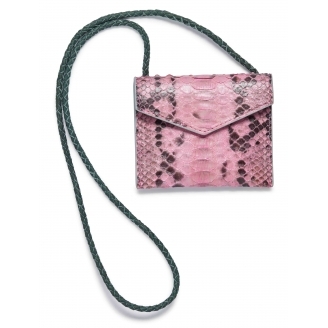 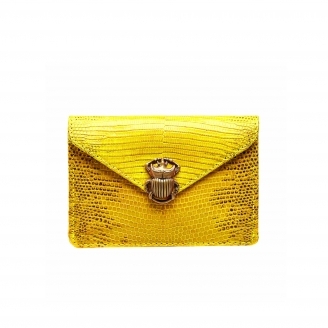 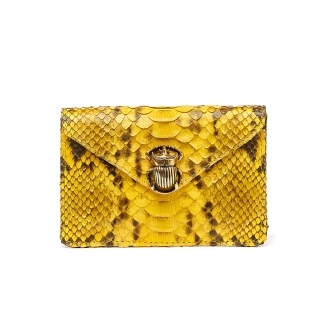 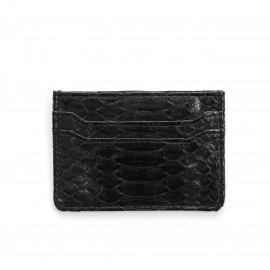 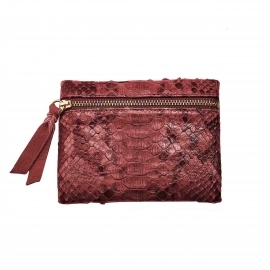 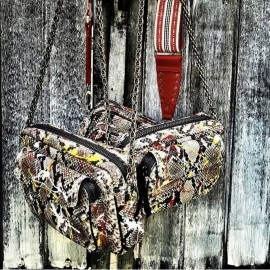 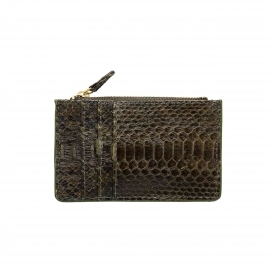 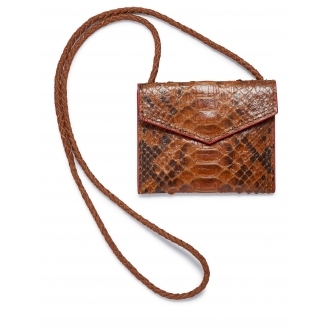 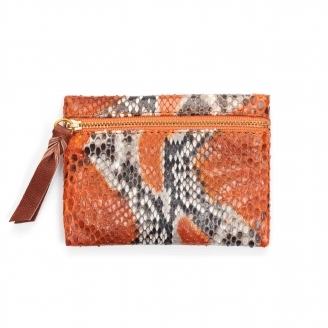 This python coin holder has the perfect size to organize your bag at his best. 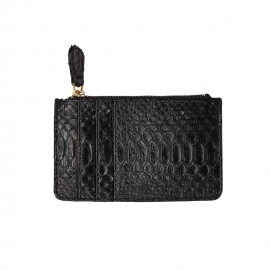 His ideal size will fit in all your bags and clutch. 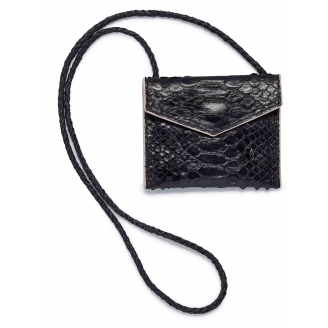 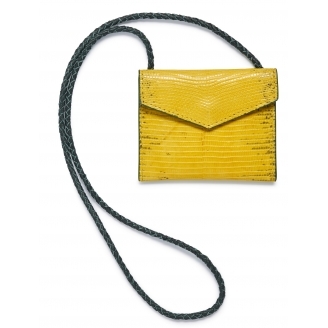 This small envelope-shaped pouch is worn around the neck and keeps your essentials close to you while giving a trendy style. 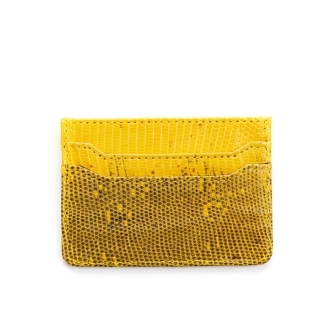 This card holder has three card slots on each side and a central compartment where you can slip your papers and receipts. 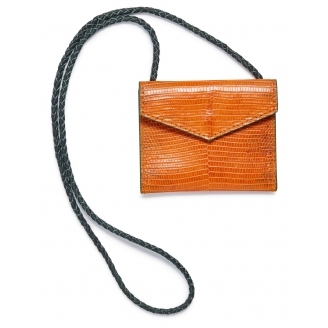 Simple to store in your pocket or bag.